Children skip at one of Durban Deep Goldmine's old hostels on the outskirts of Johannesburg, South Africa. During the previous few weeks, all the power cables in the area were dug up and stolen, leaving the entire area without any power. Ironically, these kids are using the stolen cable casing as skipping ropes. During my few weeks here, this neighborhood was transformed into sort of post-apocalytpic wasteland. During my recent visit to South Africa, I spent a lot of time on the outskirts of Johannesburg in a neighborhood centered on an old goldmine called “Durban Deep”. I was there to document the work of Cora Bailey who founded Community Led Animal Welfare (CLAW), an organization that provides veterinary services to some of the area’s most impoverished shantytowns. My time there just happened to coincide with some dramatic events that radically transformed the neighborhood in which CLAW is located. Having grown up in South Africa and left many years ago, I always feel both inspired by and heartbroken by this beautiful country and I think what followed during my brief stay only affirmed my sense that apartheid and its legacy still haunt the country. 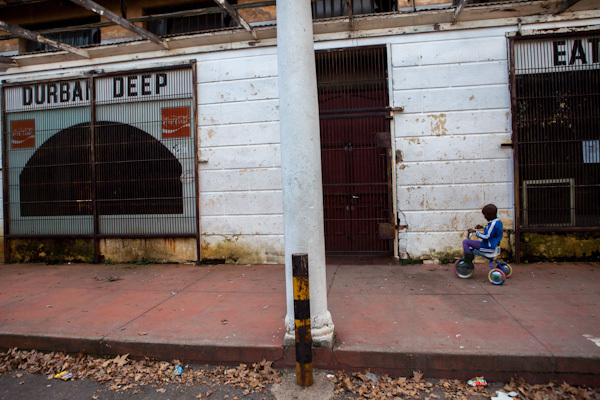 Like many of South Africa’s now defunct gold mines, Durban Deep is a relic from South Africa’s apartheid past. It sits on Johannesburg’s West Rand flanked by the distinctive glimmering hills of gold dust and its rusting headgear rising up majestically. 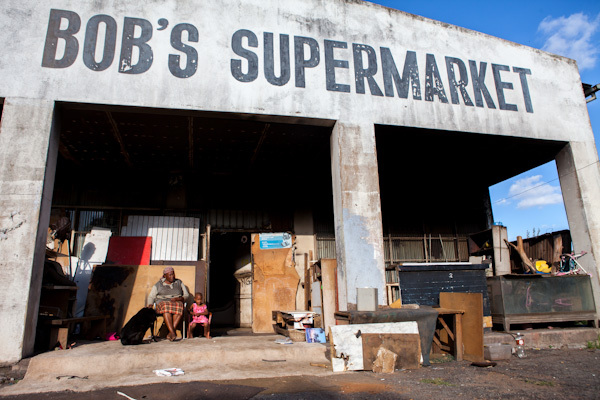 While Durban Deep shut down its mining operations almost 15 years ago, the property it sits on has continued as a neighborhood to many low income residents who moved in after miners and management left. 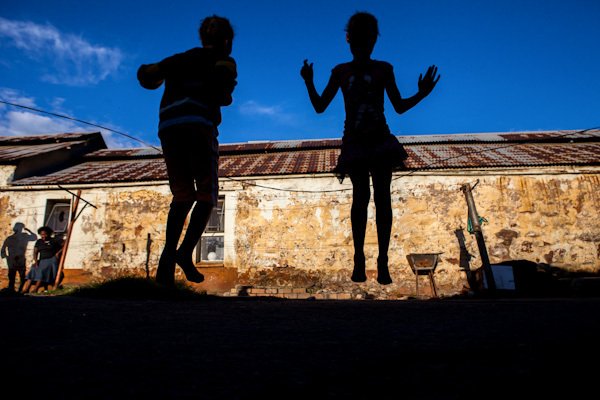 Despite crumbling walls, a rat infestation and very poor sanitary facilities, the two hostels that used to house miners are full of the joyful sounds of children playing. Until recently, a host of businesses and organizations such as a fire fighter training school, a golf course, a judo school, CLAW and a primary school still operated in the neighborhood. 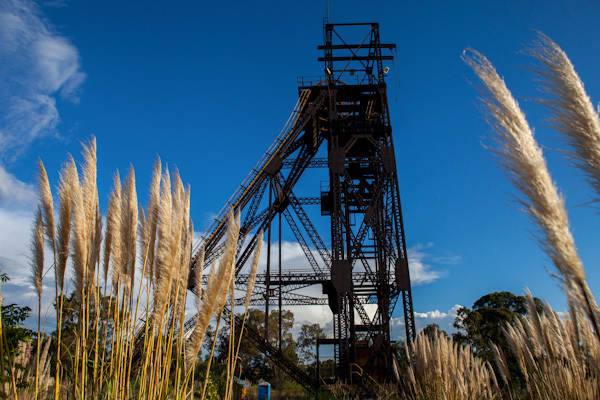 When Durban Deep was recently sold to developers, Dino Properties, no one could have anticipated the sudden and dramatic transformation the mine and its surrounding neighborhood would take. While the developers had not yet begun to evict residents or start work, the area was, in a short period of time, transformed into a sort of post-apocalyptic wasteland. Soon after the sale of the property was announced, copper thieves moved into the neighborhood, cutting down and pulling up cable, which meant local residents and businesses no longer had power. The copper thieves began burning the cable to extract copper in Durban Deep fields which left a toxic layer of smoke hanging over the area. Helpless in the face of thieves who were armed and often doing their thieving in broad daylight, security guards for the local businesses and organizations proved useless. In addition, illegal gold mining which has long been a problem in the area, escalated, leaving the land riddled with deep holes, craggy ditches and reopened mine shafts which pose a danger to neighborhood children (and to the miners themselves). In February of this year, 23 illegal gold miners died from suspected carbon monoxide poisoning while working in one of Durban Deep’s shut mine shafts. 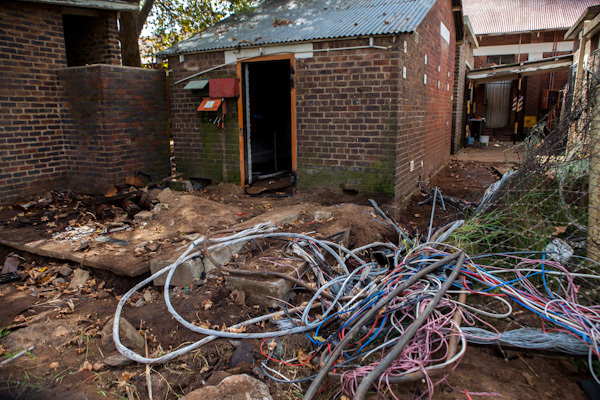 After most of Durban Deep’s cables had been removed, the thieves began dismantling many of the historic homes in the area, stripping them of their metal, glass and anything else of value. Sometimes they came when local residents were home, creating a sense of terror in the neighborhood. As things escalated, local residents became more and more angry and frustrated with the situation. With no response from police despite many calls, the residents formed vigilante groups to tackle the situation themselves. On one of my last days there, Cora and I ran into a truck that had been turned on its side. We asked what had happened and the residents told us the truck belonged to the thieves and they had turned it over to teach them a lesson. Apparently the thieves had abandoned the truck and run off. While our sympathies were with the residents who felt disempowered and angry that their neighborhood was being destroyed, Cora expressed concern with the feeling of escalating violence and at one point said to me, “I think something bad is going to happen this weekend.” Cora has seen her fair share of violence in South Africa and has often been caught up in frightening situations most of us will never encounter. Sure enough, a few days later, a group of neighborhood vigilantes attacked some of the thieves, killing six of them. While the police were called, the killings were not reported nor was anyone arrested. While I am now back in the United States, I think often of Durban Deep and wonder how things are continuing to unfold. I think of the children I photographed there, skipping with ropes made of the cable casing; I think of so many of the residents we spoke to who expressed anxiety about being home but who have no place else to go. No one knows when the developers will begin work and while Dino Properties are negotiating with local and provincial government to find alternative accommodation for the affected residents–some of whom have been on a waiting list for a house for many years–the neighborhood seems to live with an impending sense of doom. It struck me looking though my images of Durban Deep, that even though I was there for just two weeks, the neighborhood was completely different at the end from when I had arrived. The judo studio was gone, CLAW was relatively abandoned having sent most of its patients to a temporary location about twenty minutes away, the houses which were intact when I’d arrived looked like broken skeletons, the roads were torn up, even the firefighter training school had a huge moving truck parked outside its property and was loading equipment to be moved elsewhere. If I found this forsaken landscape so disturbing, how must the people who had lived there for years feel? What will become of this community? These are questions that I suppose I may never know but at the very least, I hope my images stand witness to what happened here. 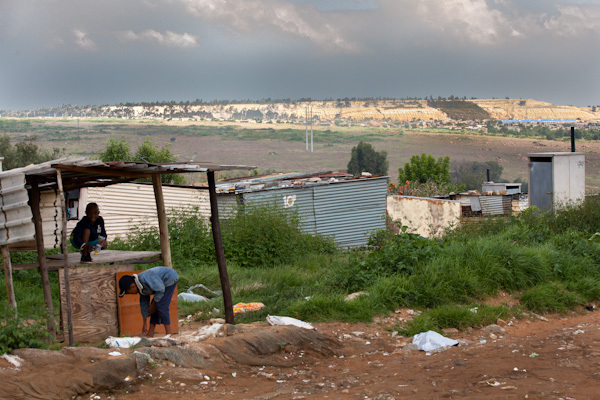 A view of Johannesburg's West Rand flanked by the distinctive glimmering hills of gold dust. These hills are made up of the waste product left over from more than a century of gold mining and are believed to pose a serious health and environmental risk to the communities that live near them. Durban Deep's now defunct headgear rises up between stalks of pampas grass. A woman sits with her granddaughter and dog outside an abandoned gold mining grocery store which they and many other families have made their home. The grocery store's residents have partitioned off the interior space to create privacy for the many families that live there. 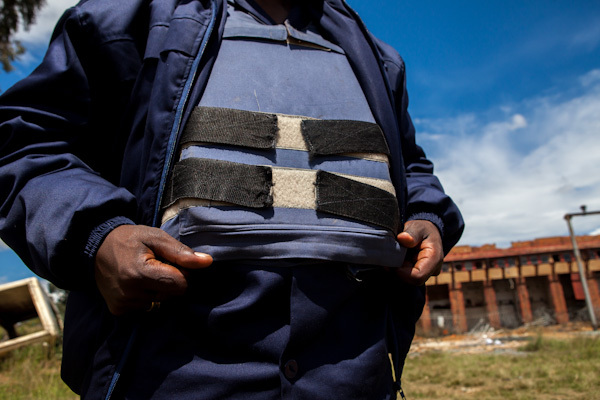 A security guard wears a bullet proof vest as he stands on duty outside Durban Deep's substation. Days before, the entire substation was ransacked and the cables and transformers were stolen, leaving the neighborhood without power. 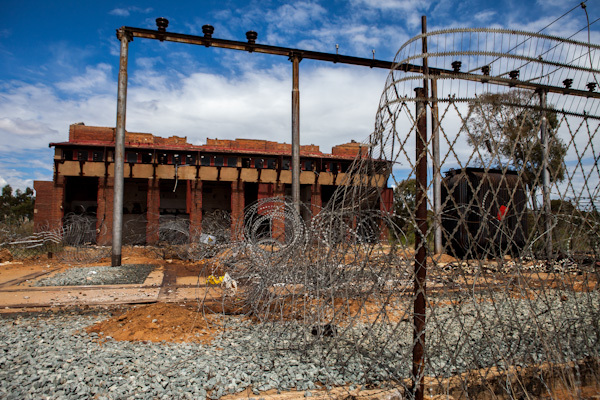 Durban Deep's gutted substation days after its ransacking began. 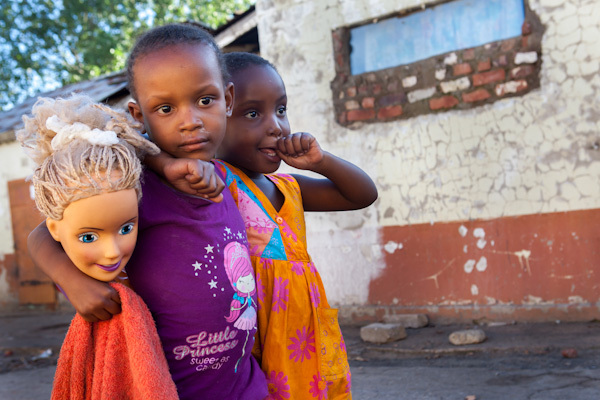 Two little girls and a doll’s head are photographed at Durban Deep’s old “Skomplaas” hostel. 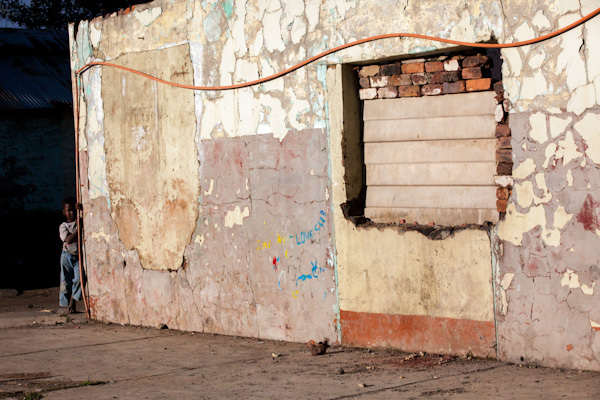 A young boy peeks around the corner of one of “Skomplaas” hostel’s crumbling buildings. 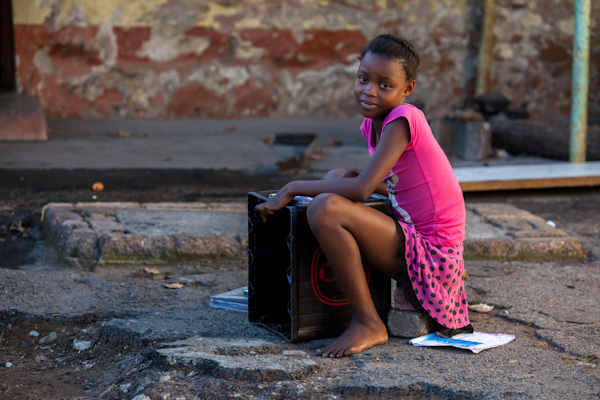 A school girl sits on stones and uses a plastic container as a desk to do her homework on at the hostel. 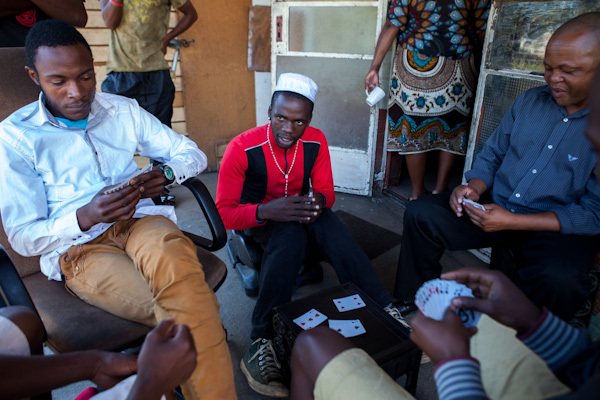 A group of men play casino at “Skomplaas” hostel. A child rides a tricycle outside the hostel's now closed restaurant. 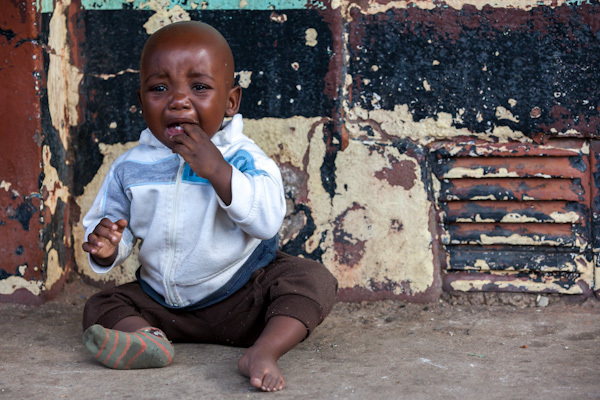 A baby cries outside one of the hostel's crumbling buildings. Dug-up cables are photographed outside CLAW's utility building. Over the course of a few days, armed thieves removed the transformers, cables, fuse boxes and even used a blow torch to remove the steel doors. Without power, the veterinarians were unable to operate on their patients and so the animals were taken to an alternate location. 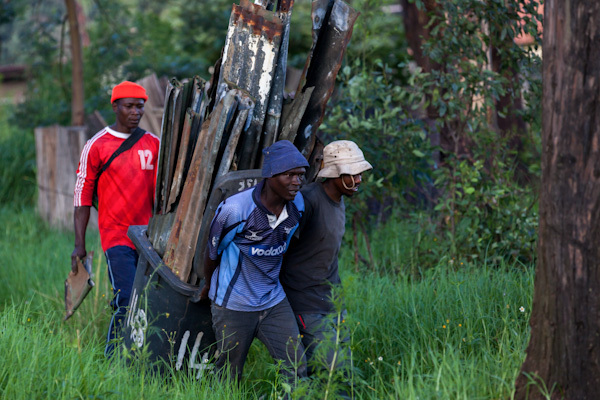 Men carry metal stripped from one of Durban Deep's homes. The metal is sold to local scrapyards and while it isn't as valuable as copper, for the many unemployed men in the area, it provides some cash. 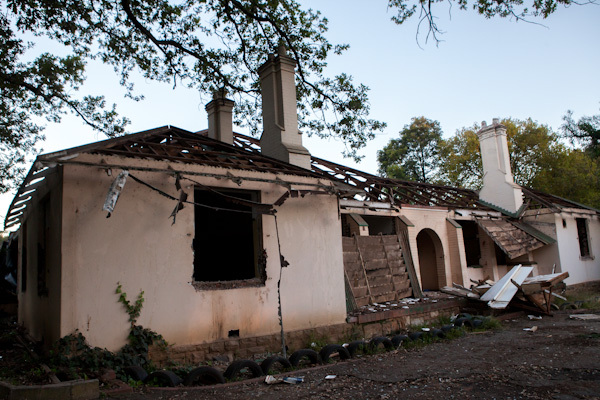 One of Durban Deep's historic homes is photographed a day after it was stripped of all its valuable materials. While homes like this one housed gold mining managers when Durban Deep was still in operation, they have since been home to many local families, some of whom are the children or grandchildren of the goldminers and have no where else to go. 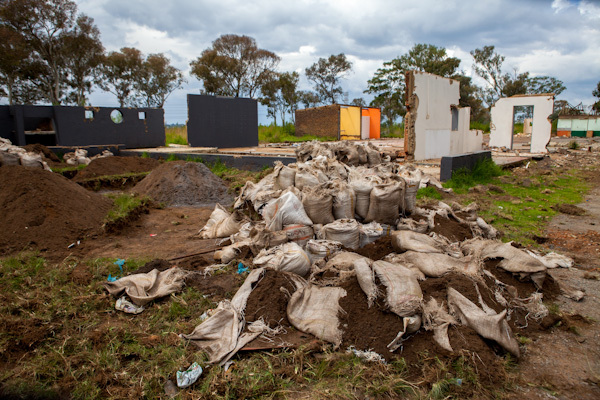 Bags of soil containing small amounts of gold sit slashed and abandoned after police forced illegal gold miners to destroy them. Behind the bags is what is left of the judo studio which operated in Durban Deep for over two decades. 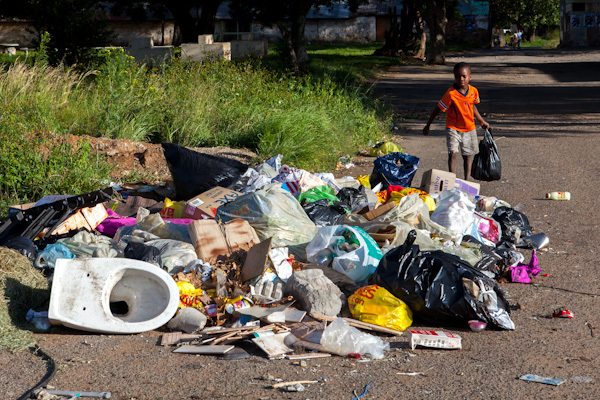 A young boy brings a bag of trash to a makeshift dumping site outside Skomplaas hostel. 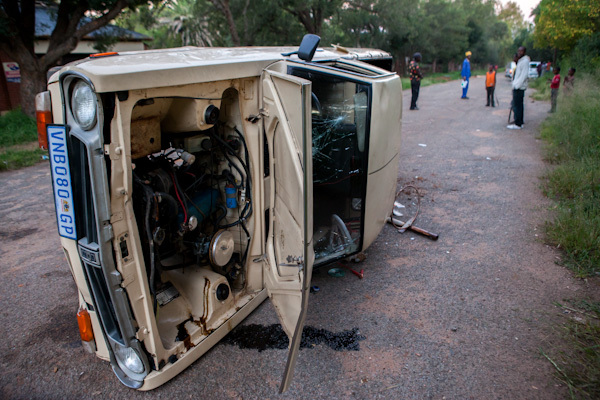 A truck belonging to the cable thieves sits overturned on one of Durban Deep's roads after local residents, frustrated with the ongoing attacks on their neighborhood and with no response from police despite many calls, formed a vigilante group to tackle the situation themselves. Apparently the thieves had abandoned the truck and run off. This was just the first of many incidents that ultimately led to the murder of six men by the local vigilante group. 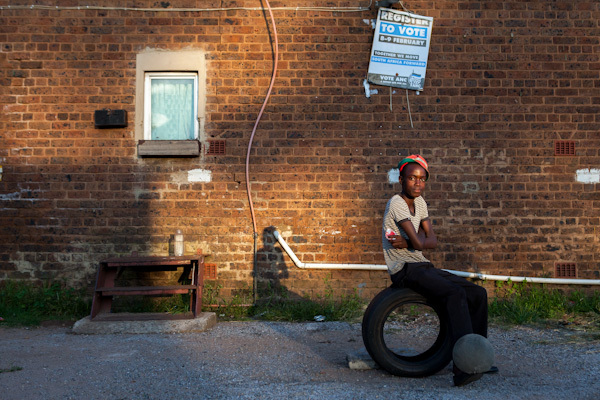 A teenaged boy sits on a tire and bounces a soccer ball on his feet at another of Durban Deep's old hostels. No one knows when the developers will begin work and while Dino Properties are negotiating with local and provincial government to find alternative accommodation for the affected residents--some of whom have been on a waiting list for a house for many years--the neighborhood seems to live with an impending sense of doom.